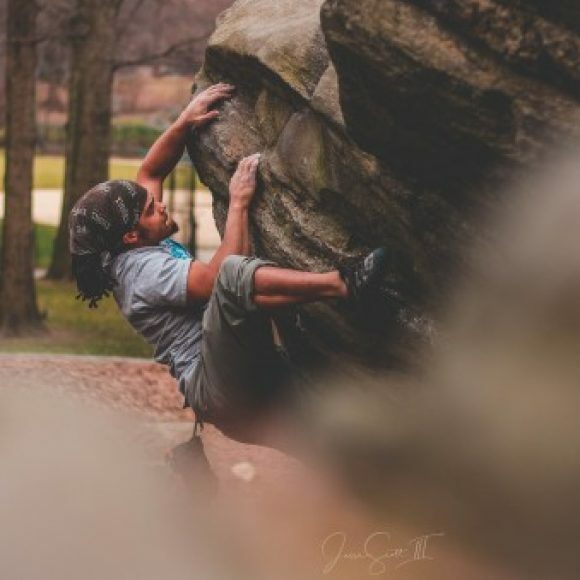 I am currently the director of Maintenance at the Rock Club in New Rochelle and I am also the head instructor for our outdoor climbing program during the Summers. I have been working in the climbing industry for 12 years, 8 of which I worked for the BSA in a seasonal summer camp. I love climbing, preferably outside. I enjoy bouldering, but I really like rope climbing a lot more. Depending on the gym I go to I can usually send 5.12 on a really good day. The hardest Boulder I’ve sent inside a gym probably v8. Favorite place I’ve been outside to climb so far I’ve got to say is between Smith Rock and Kentucky Red River Gorge. You can often find me singing while setting routes and while climbing. I enjoy singing very much, it takes my mind off of the fear while I’m climbing. Set routes, forrun, wash holds, take out stripped bolts, rope maintenance. Head route setter, Set and forrun routes. Head coach for team rock.